The prepaid war in India is not showing any signs of cooling down. With the telcos intensifying their marketing strategies and bringing down the prices of their plans along with attractive offers, it is becoming more and more easier for the users to find affordable plans. Almost all the plans these days are offering free unlimited calling along with high speed data. With so many choices available in the market it is now entirely upon the users to choose which telco to place their faith in. With this new battle, there are many plans which start at Rs 200 or below. Below we have brought to light similar plans which are sure to lure in some customers for the telcos, and who knows they might convince you too! 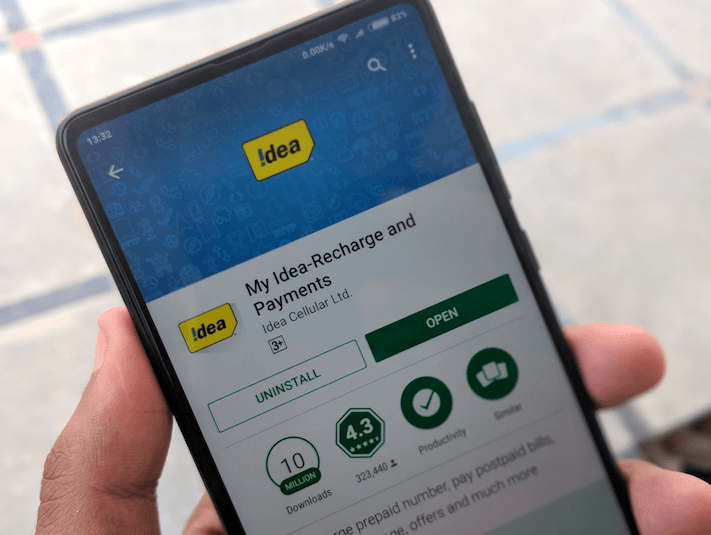 Idea Cellular has also released similar bundled plan to remain in the race which comes in at Rs 199 and offers 39.2GB of 4G/3G/2G data with a daily FUP of 1.4GB per day. The plan also comprises of the free unlimited calling benefit which includes national roaming, local and STD. There is also the availability of 100 free SMS per day in this plan. Airtel’s Rs 199 plan is providing users with 39.2GB of high-speed 4G internet data with a validity of 28 days where the daily FUP for data usage is capped at 1.4GB data. Before the limit of the FUP was extended to 1.4GB the plan only used to provide users with 1GB of data per day. There is also the facility of free local and STD unlimited calling. For people who just need basic calling and data requirements this plan lands in the perfect turf. Besides the usual data and calling benefit, users will also be able to enjoy 100 SMS per day under this plan. Jio prepaid plan which start at Rs 149 plan is offering 42GB of 4G internet with a validity of 28 days. The daily FUP limit for this plan has been capped at 1.5GB. There is also the benefit of unlimited voice calling, and 100 free SMS per day. This is the best shot for someone looking at an economic and efficient bet for their bucks. The second plan by Jio which is priced at Rs 198 plan is offering 56GB of 4G high-speed data with 28 days validity with daily usage capped at 2GB. In this plan also, free local/STD and national roaming is going to be included in the prepaid pack along with 100 free SMS messages per day. It seems that Reliance Jio has got a knack for giving a tough time to its competitor because since the beginning Jio’s prepaid plans have remained the top choice of consumers. Even now, in terms of data benefit and additional features Jio’s plan offer the best deal to the customers. There is also the added benefit of free subscription to apps like Jio Music, Jio Movies and Jio TV and other apps from Jio’s portfolio. Vodafone India is also not backing down from the competition with its release of the Rs 198 prepaid pack. Similar to Airtel, Vodafone is offering 1.4GB of daily high-speed data to its subscribers right now. The validity of this pack is 28 days. There are also the usual benefits of unlimited voice calling and 100 SMS per day included in the pack. Vodafone 1.4GB/day for 84 days with unlimited calling & SMS at INR458 is the best for all where their 3G network is available. What about 569 Vodafone with 3GB data per day for 84 days!!!!! I’m on a Better Plan with Tata DoCoMo. For 129/- I get Unlimited Local+STD+Roaming Calls (+) 1.4 GB/day 3G Data, 100 SMS/day valid for 28 days in UP(West). On AirTel’s 3G Network, this plan works like a Charm.